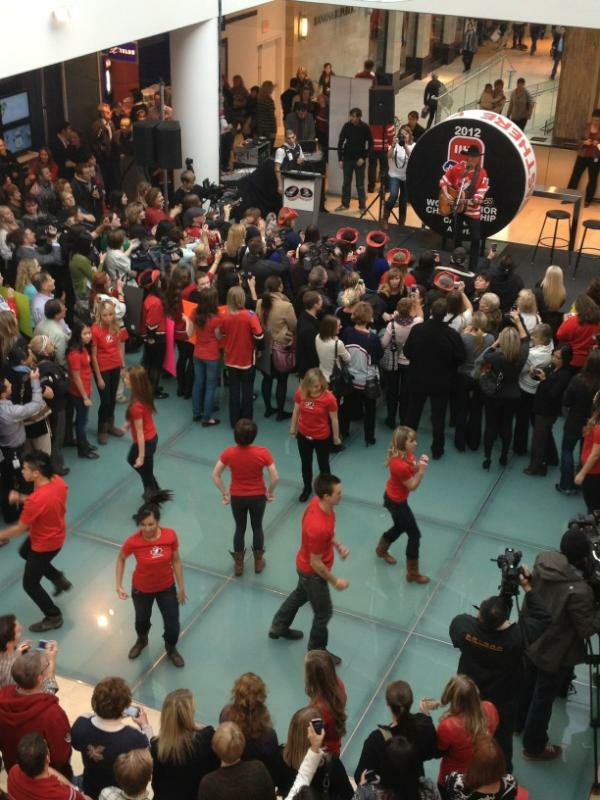 Paul Brandt was in the CORE Downtown Calgary today to launch his World Jr Hockey Championship anthem I Was There. I am completely devastated that I missed it because there was a flash mob. Crashing a flash mob is on my bucket list...and what a great flash mob to crash. All Canadian and stuff. Shame I missed it. Oh well. As for the song, Paul has done better....much, much better. I think an emotional song about hockey is destined to fail. Sorry Paul. Thank God for Alberta Bound (...which should actually be the theme of the tournament if you ask me.